Itinerary | Click here for details. It begins and ends in Athens (Piraeus) and visits the Greek Islands of Hydra, Mykonos, Kos, Santorini, and Volos. It also visits the famous ancient city and UNESCO World Heritage Site of Ephesus, via it’s port of Kusadasi, Turkey. A preliminary list of shore excursions is here. Demographics | For the most part Silversea attracts a very well heeled guest. Mostly American, but you’ll find Aussies, Brits, a few South Americans and scattered others. You’ll usually see a couple to a few gay couples but we plan to upend that! The LGBT mix is American/non-American as well, and usually men. josh’s notes / 382 guests, 302 crew, built 2001, refurbished december 2016, 28k gross registered tons (that’s not big), 7 passenger decks, registry Bahamas, officers are mostly Italian and crew is from all over. Pricing | The ship has generally 4 types of suites and they’re all referenced here. 1) without a veranda, 2) with a shared veranda (a little unusual), 3) with a private veranda and 4) big suites. 1-3 are all the same size at 287 Sq Ft plus veranda if applicable with another 58 Sq Ft. A deck plan with suite configurations is here. Prices are per person, based on 2 to a suite, and include all taxes. Very easy. There should also be a discount for those who have sailed with Silversea before. Currently (Aug 2017) AIR IS FREE and Business Class is only $1,198 round-trip, from many cities in the USA. By booking with our group you receive a $150 per person ship board credit which can be used toward any shore excursion, spa treatment or boutique purchase. We’ll also have a private cocktail party or two during the cruise to liven things up. I’m planning on our exclusive amenities as well! Ideas welcome. Book and pay by 8/30/2017 and receive a 10% discount. Should Silversea have any other promotions later on you would be eligible to add that to your booking, but the booking would have to be repriced at that time. Trip insurance is optional and advisable. Ask for details. Before & After | There are a million places to visit before and after but I’m thinking maybe some of us would want to spend time in famous gay Mykonos before. The ship does go there, but one day just isn’t enough. Let me know what you think. I’ve been to Athens several times back in the day, and it’s worth a couple of days at least + there are many sites nearby you can do on day trips. I’ve been friends with the sales manager of the 2 Starwood Luxury Collection hotels in Athens for 30 years and she’ll take great care of us. More Infomation & To Book | Just call or email with your questions and I’ll set you up. Friends | By all means, invite everybody you know. This group is starting in San Francisco but expect it to go nationwide and global. legal disclaimer / i apologize if any of the above facts are alternative. it was not my intent and like somebody else we know, i’m not responsible. 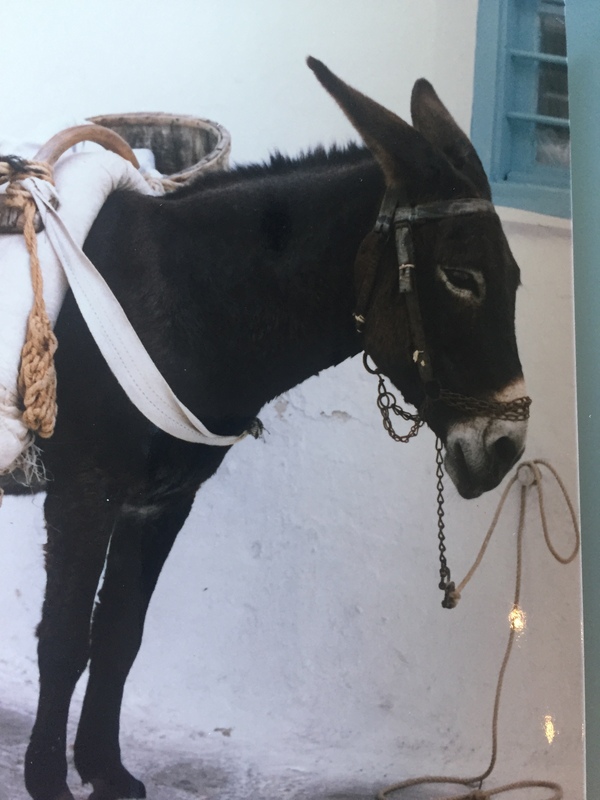 Look forward to Greece with you — and the donkey!